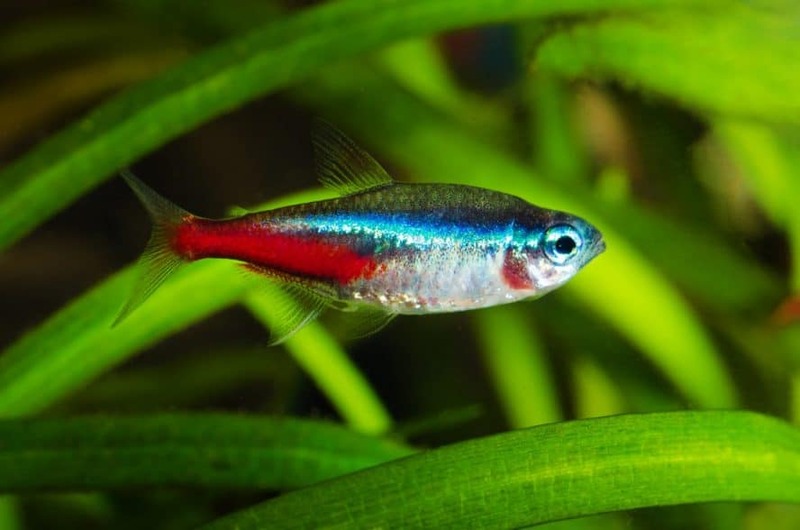 Blog 35 Unforgettable Neon Tetra Names- With reasons why! Neon Tetra’s are without a doubt one of the most popular community fish, especially amongst aquarium beginners. They are easy to care for, good looking, and active, and readily available in most aquatic stores. They also, however, all pretty much look the same making giving Neon Tetras individual names pretty hard to do! That is not to mention the fact that we keep them in groups meaning all the names become nearing impossible to remember. But do not fear, for we have the solution and that is our list of 35 unforgettable Neon Tetra names. Not only will this list give you all the names that you need, but they’ll also be easy to reel off should you need to. Famous Ships – There are a plethora of famous ships out there that you could name your Neon Tetras after. These include but certainly aren’t limited to names such as Titanic, Lusitania, Endeavour, Victory, Santa Maria, Mary Rose, and Mayflower. Famous Artists – There are centuries worth of famous artists for you to take your pick of. Some of our favorites include Hockney, Manet, Monet, Van Gogh, Constable, Turner, De Vinci, Michelangelo, Picasso, Munch, Pollock, and Matisse. Harry Potter Characters – One for all the wizard lovers and big kids out there. Names include Hagrid, Harry, Ron, Hermione, Dumbledore, Snape, Voldemort, Malfoy, Weasley, Sirius, Dobby, Ginny, Hedwig, and Fluffy. The options with this one are so endless that you may need your very own sorting hat to pick them from! Gods & Goddesses – Always popular when it comes to naming fish, Gods and Goddesses can be picked from either Roman or Greek legend. Just some of the many majestic names you could choose are Apollo, Aphrodite, Hermes, Neptune, Poseidon, Hades, Ares, Artemis, Athena, Juno, Venus, Mars, and Jupiter. Car Manufacturers – One for the boys with a multitude of options including Porsche, Aston, Buick, Bentley, Audi, Bugatti, Ford, Hyundai, Jaguar, Toyota, Tesler, Lamborghini, Lotus, Ferrari, and Mercedes. Since the Neon Tetra is the speedy and sporty aquarium inhabitant Sports car manufacturers would be a really good pick. Flowers – After one for the boys comes one for the girls and that is in the shape of flower names. Some of the more popular ones include Tulip, Daisy, Marigold, Pansy, Orchid, Lily, Rose, Snowdrop, Buttercup, Foxglove, and Bluebell. American States – Since there are 50 American states to choose from its highly unlikely you’re going to run out of these names or struggle to find ones you like. Favorites include Ohio, Georgia, Montana, Virginia, Alabama, Dakota, Kentucky, Florida, and Arizona. Disney Princesses – Ideal for any little princess that has their very own aquarium full of Neon Tetra. Name choices include Elsa, Rapunzel, Snow White, Belle, Moana, Aurora, and Jasmine. Finding Nemo – Another favorite amongst children who won’t care that the fish they are naming is not the species from the film. Names include Marlin, Nemo, Dory, Bruce, Crush, Squirt, Bubbles, and Gurgle. The DVD and Digital download is still available and a must for all fish keeping fans. Available from AMAZON Click here for latest prices. Capital Cities – An unusual one that could be separated into further categories such as European, Asian, African, and American. Suggestions from all would be Nairobi, London, Rome, Kabal, Tirana, Ottawa, Bishkek, Lima, and Dakar. Numbers – This one has to be the easiest to remember naming system ever with its simplicity of giving each Neon Tetra a number. If you want to clever it up a little, you could opt for numbers in a foreign language such as French, Spanish, or German. The Jackson 5 – One of the biggest and most iconic pop groups of all time. Members included the King of Pop, Michael, plus Jackie, Tito, Jermaine, and Marlon. The Scooby Gang – Not the characters of the teen sensation ‘Buffy the Vampire Slayer’ but rather the original cartoon gang. 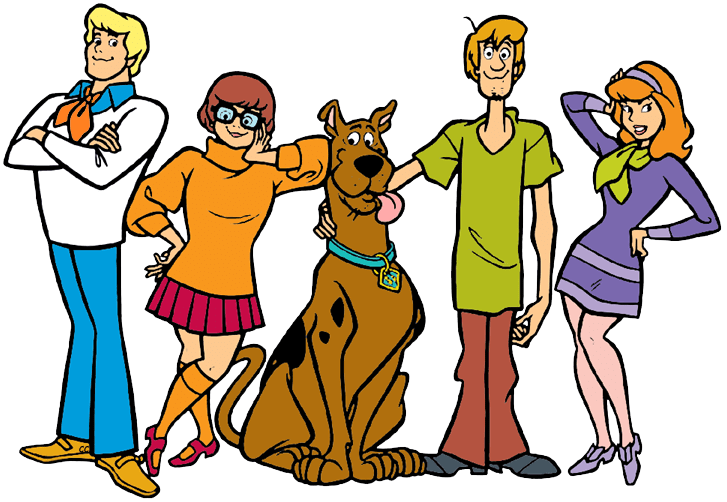 Members included Scooby Doo, Velma, Shaggy, Daphne, and Fred. Scrappy Doo could also be counted should your Neon Tetras number at six. One of my all time favoriye cartoons I have the box set which is now available on digital download on Amazon Click Here for prices. The Rat Pack – The coolest of the coolest groups of men who sung, acted, chased women, and hung around the Las Vegas casino scene. Members were Frank Sinatra, Dean Martin, Sammy Davis Jr, Joey Bishop, and Peter Lawford. The Seven Dwarves – Apt because Neon Tetras are one of the smaller tropical aquarium fish and popular because all children love the story of Snow White. Dwarf names are Sleepy, Grumpy, Bashful, Sneezy, Happy, Dopey, and Doc. The Flintstones – Though there are quite a few characters in this cartoon some are more well known than others. These include Fred, Wilma, Betty, Barney, Bam Bam, Pebbles, and Dino. The Simpsons – Another grouping that has lots of members that you could use for bigger schools of Neon Tetra. Main names include Marge, Homer, Bart, Lisa, Maggie, and Santa’s Little Helper. Season 1 is still one of my favorites. Click here to watch it on digital download. The Brady Bunch – For those not old enough to remember it the Brady Bunch was an American sitcom based around a large family and their ups and downs. Family members were Brady, Cindy, Greg, Peter, Bobby, Carol, Marcia, and Jan. The Kardashians – For better or worse, one of America’s most famous families due to their reality TV show of the same name. Family members include Kim, Khloe, Kourtney, Kris Jenner, and Kanye West. The Backstreet Boys – In the early 90s the fabulous Backstreet Boys showed us the meaning of being lonely and told us that they’d never break our hearts. They are still working and touring today and are the perfect group name for all those fangirls out there. The members are AJ, Howie, Nick, Kevin, and Richard. The Planets – No explanation necessary with this one I’m sure as we all know there are seven planets in our solar system. These are Earth, Jupiter, Mars, Saturn, Uranus, Mercury, and Venus. The Friends – An iconic comedy show of the 1990s, you would be hard pressed to find anyone who doesn’t recognize the names; Ross, Rachel, Phoebe, Joey, Chandler, and Monica! If you love Friends you have to buy the complete box set and spend a weekend in your PJ’s eating ice cream and watching the whole box set which by the way will take you 2-3 to complete end to end! Click here for the latest box set prices. 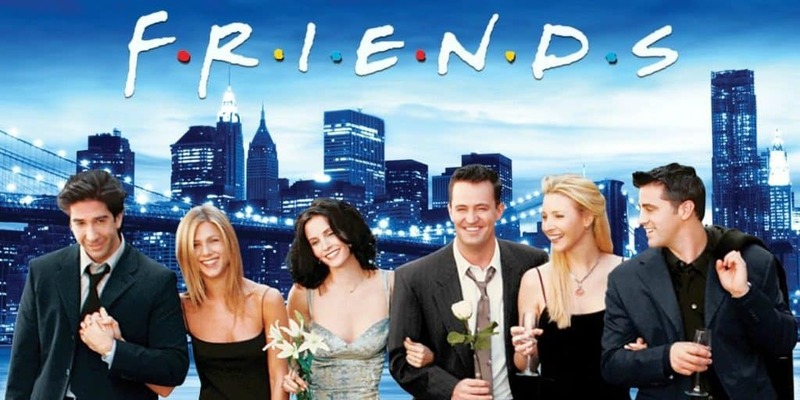 In the 1994 comedy series on TV, Friends, Rachel Green (Jennifer Aniston), Ross Geller (David Schwimmer), Monica Geller (Courteney Cox), Joey Tribbiani (Matt LeBlanc), Chandler Bing (Matthew Perry) and Phoebe Buffay (Lisa Kudrow) are all friends, living off of one another in the heart of New York. Over the course of eight years, this average group of buddies go through massive mayhem, family trouble, past and future romances, fights, laughs, tears and surprises as they learn what it really means to be a friend. This box set on DVD includes all 10 seasons of the hit comedy TV series. The Calendar Girls, or Boys – Plenty of choice within this theme including days of the week, seasons, months, and even celebratory days such as Thanksgiving and Christmas. 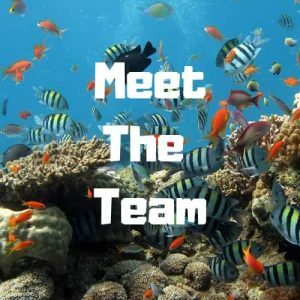 Ben & Jerry – Find me a person who wouldn’t love a pair of Neon Tetra named after the absolute Kings of ice creams, the fabulous Ben & Jerry’s? Tom & Jerry – A pair that needs no introduction and were a part of every kid’s childhood cartoon watching rituals. Classic cartoon started in 1940 and released by MGM. Laurel & Hardy – An absolute iconic pair of comedic actors who graced our screens in the early to mid-1950s. You could also use their first names Stan and Ollie. Lennon & McCartney – The most famous of the fab four that sprung from the Cavern in Liverpool and rose to global fame. Good strong names for any pair of fish you might own. Beavis & Butthead – Two teenagers who let’s face it were not the brightest sparks and lacked all social competency. They were, however, hilarious to most of us watching them on MTV and are pretty ‘cool’ names for Neon Tetra pairs. The series originally ran for seven seasons from March 8, 1993 to November 28, 1997. DVD’s are still available but getting harder to find. See prices on Amazon here! Daenarys & Khal Drogo – Possibly the only way you don’t know who this pairing are is if you’ve been living under a rock for the last several years. Two Game of Thrones favorites started off their marriage rockily and went on to become ‘great loves’. Bonnie & Clyde – Seen by some as a famous love story, in actual fact, Bonnie and Clyde were thieves and murderers who roamed the USA committing their numerous crimes. Mario & Luigi – An all-male pairing that stems from the fabulous series of computer games known as Super Mario. It would be hard to find anyone who doesn’t know who this pairing is or hasn’t played the game at least once. Lady & The Tramp – A Disney favorite with all children and parents alike. After all, who can forget that iconic scene of sharing the spaghetti? Jack & Rose – The ill-fated ‘Titanic’ pairing that made it onto the silver screen in 1997. Incredibly apt for those who have a sunken ship in their Neon Tetra aquariums. No matter what name you choose to give your pet fish just the fact that you have named them shows that you care for your fish and have made them part of the family. Owning pet fish comes with an obligation and we have a duty of care to look after them the best we can. This comes in many different forms from water conditions, tank size, quality of food and the personal love you show them. If it’s a goldfish you have and not a Neon Tetra you might like to check out or article with 35 Perfect names for pet Clownfish.